If you have just moved to the Windy City or are starting your first business here, then you will be happy to know that it is a great place to start a business. There is a lot of opportunity in Chicago, but if you want your business to thrive, then it will take a lot of hard work. 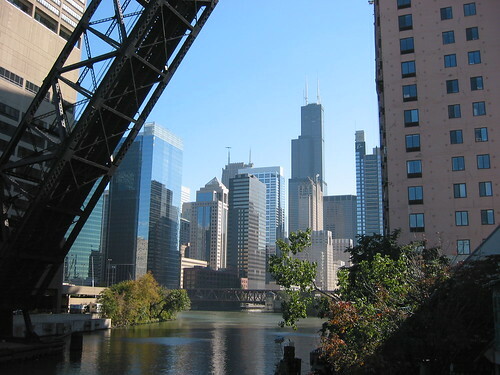 Below are some tips for helping your business thrive in the Windy City. Advertising is one of the key things that you will have to do if you want your business to be a success. Advertisement certainly is not cheap, but the money you invest will be well worth it. You should put fliers up in places where potential customers and clients go frequently. For example, if you have a personal training business, then you should consider putting your fliers up in spas and health clubs. If you have a catering business, then you should consider putting your fliers in supermarkets. Simply put, networking is defined as the act of creating a group of associates and acquaintances. You should make sure that you take advantage of the numerous opportunities that you have to network in the Windy City. You will need to attend several business meetings. You should also consider connecting with people on social networking sites. The more you network, the better. Joining your local chamber of commerce for a monthly fee will get your business listed on the chambers website and publications as well as provide networking opportunities with other local business owners. Chicago has the Chicago Land Chamber of Commerce as well as other smaller neighbourhood chamber of commerce organizations, from Austin to Little Village, Wicker Park & Bucktown, to South Chicago. People really love free stuff. It will be a lot easier for you to get customers and clients if you offer a free sample of your product or service. For example, if you are a personal trainer, then you can offer your clients one free training session. You can also give out free samples if you are selling a line of products. Leveraging social media for your marketing is a great way to reduce expenses. Virtual Office Chicago is also a great service that can help you save money by providing you the services and amenities found in a traditional office such as a receptionist, dedicated LAN line, postal address, and meeting rooms, on an as needed business drastically reducing your bottom line. If you were to ask 100 people why they kept using a particular business, then most of them would probably tell you that they were content with the service that they were provided. That is why you should try your best to deliver excellent service. You should also make sure that you encourage customers and clients to give you feedback. Keep in mind that many people do not bother complaining about a service if they are unhappy. They will simply take their business elsewhere. Once you have a loyal group of customers or clients, you should encourage them to refer their family members and friends. This is one of the quickest and easiest ways to grow your business. You should also give your clients an incentive for referring their family members and friends. You can give them a discount on a product or service if they refer five friends. The Windy City is a great place for small business owners, but you have to take the time to network and advertise. You also need to offer free samples, deliver excellent service and encourage referrals.